Last week Qualcomm announcedthat its mobile processors are now called platforms, as this better reflects their true essence. Top solutions will continue to be produced under the brand name Qualcomm Snapdragon, while the budget of the platform under Qualcomm Mobile. The first mobile entry-level platform was Qualcomm 205 Mobile Platform designed specifically for budget smartphones and devices with low cost. The chipset has support for fourth generation networks – previously this was a privilege of more expensive devices. 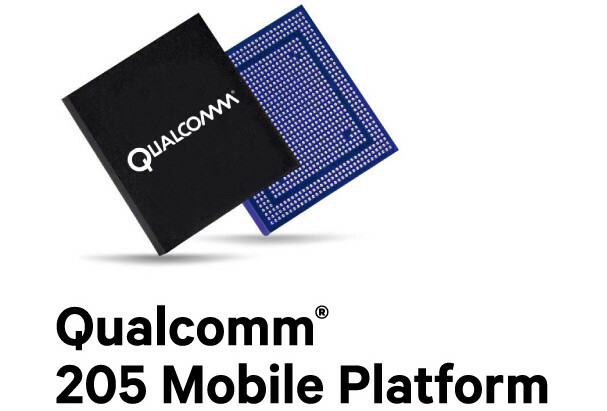 Mobile platform Qualcomm 205 includes a system-on-chip Qualcomm 205, which has a functional for the transmission of unmodulated signals, and also includes hardware components, including the RF-interface, the discrete Wi-Fi, power management, audio codec, amplifier and speaker, the result being a comprehensive mobile solution. 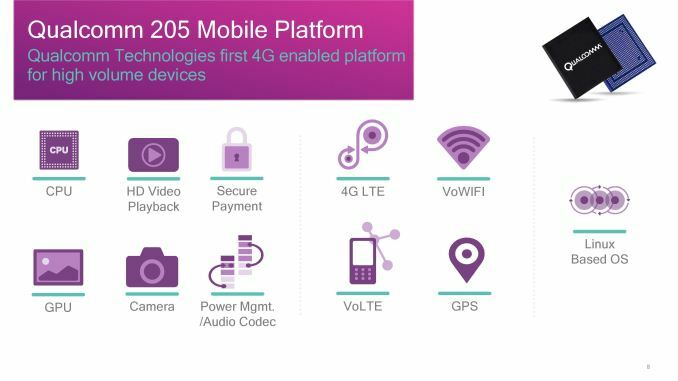 205 Qualcomm Mobile Platform is equipped with LTE modem Cat. 4, providing data download speeds of up to 150 Mbit/s and return – to 50 Mbit/S. in addition, the platform has support for two SIM-cards, and wireless interface provided Bluetooth 4.1, Wi-Fi 802.11 b/g/n, ANT+ and FM radio. The new platform is designed to reduce the cost of devices and ensuring good energy efficiency. The CPU 205 Qualcomm Mobile Platform consists of two cores operating at a clock frequency of 1.1 GHz. The graphics is unknown a graphics accelerator Adreno, able to play videos in 480p format at 60 frames per second. Qualcomm notes that Mobile Platform 205 supports operating systems Linux. Also, in the description of the platform stated that smartphones operating on it, is able to work without recharging for up to 34 days in standby mode, 16 hours in voice call mode or 80 hours in music mode. “Qualcomm Technologies facilitates the transition of users and networks from 2G, 2.5 G and 3G to 4G, says Kedar Condop, Vice President of product management at Qualcomm Technologies. 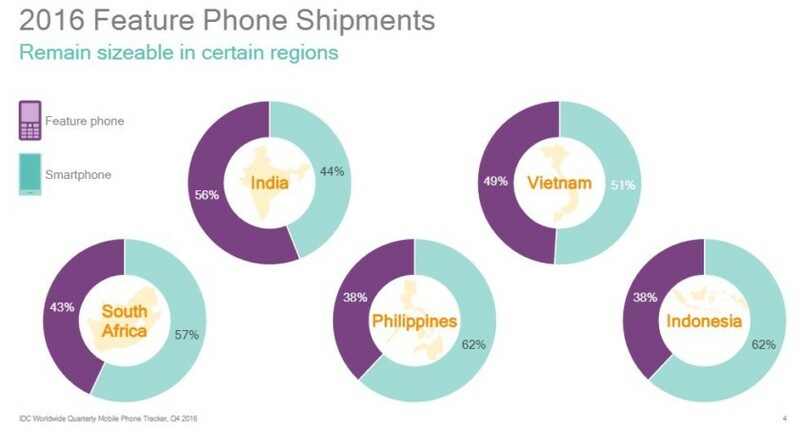 – Cheap phones – a lifeline for users in many developing countries, and mobile platform Qualcomm 205 allows us to provide 4G connection, related services and appropriate devices for mass use at prices, which has never happened before”. It is important to note that Qualcomm 205 Mobile Platform compatible with existing chipsets the entry-level Snapdragon 210 and Snapdragon 212, which allows manufacturers to use existing designs and technology for producing affordable devices that support 4G. Devices based on mobile platform Qualcomm 205 are designed to provide consumers and small businesses the opportunity economical communication with the use of advanced data services in LTE, such as voice over LTE (VoLTE) and Wi-Fi (VoWi-Fi). connector compatibility with Qualcomm Snapdragon 210/212. Devices based on Qualcomm mobile platform 205 are expected to be available to users in the second quarter of 2017. You are reading an article on the 205 Qualcomm Mobile Platform opens the way for cheap LTE smartphones. All materials on the site Gadgets F, а также и статья 205 Qualcomm Mobile Platform opens the way for cheap LTE smartphones - written for the purpose of information enrichment and we are happy if you like our magazine.